In the late 1940s, with World War II over, this peacetime period offered the possibility of renewed prosperity for the United States. 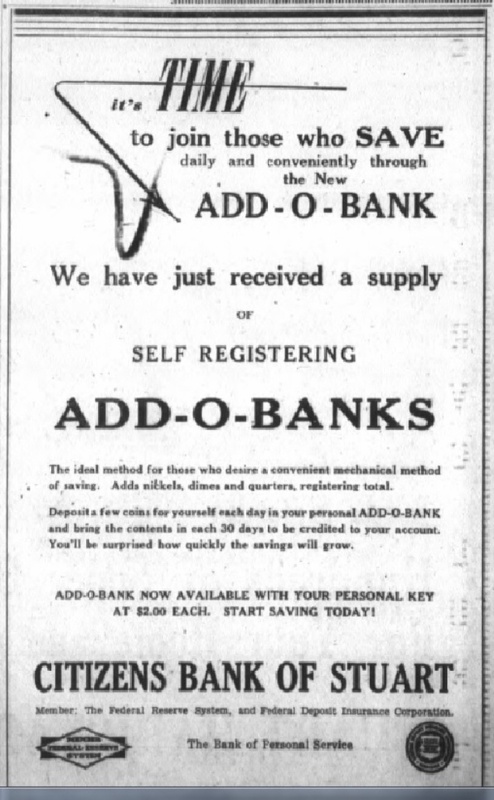 Citizens Bank had been quite successful in selling war bonds, but with business as usual, the bank focused on encouraging customers, especially the young, to save money. They decided if kids thought it was fun and exciting, maybe they would develop good saving habits. 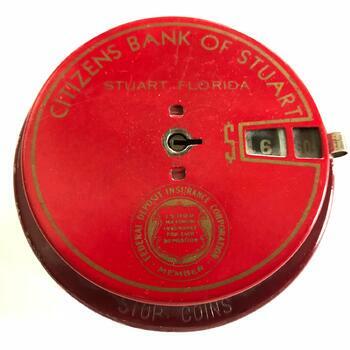 In May 1948, a Citizens advertisement in The Stuart News announced a metal mechanical savings bank for sale which kept track of the dollar amount for the coins inserted, up to $20. Called Add-O-Bank, the circular savings container, manufactured by Steel Products of California, measured about 4¼ inches in diameter and 1¾ inches in height. It cost $2. The ad stated: “It's Time to Save” and suggested that coins, only nickels, dimes or quarters, be inserted each day in the "personal" bank. The contents should be brought to Citizens every 30 days for deposit in the customer's account. The Add-O-Banks were available in various colors and boxed with instructions and key, including information to reset amount totals to zero when necessary. Advertisements for these banks continued throughout the year. Add-O-Banks are available for sale or auction on e-Bay for those interested. The name of the issuing bank or business was usually printed on the top and one from Citizens would probably be extremely rare. 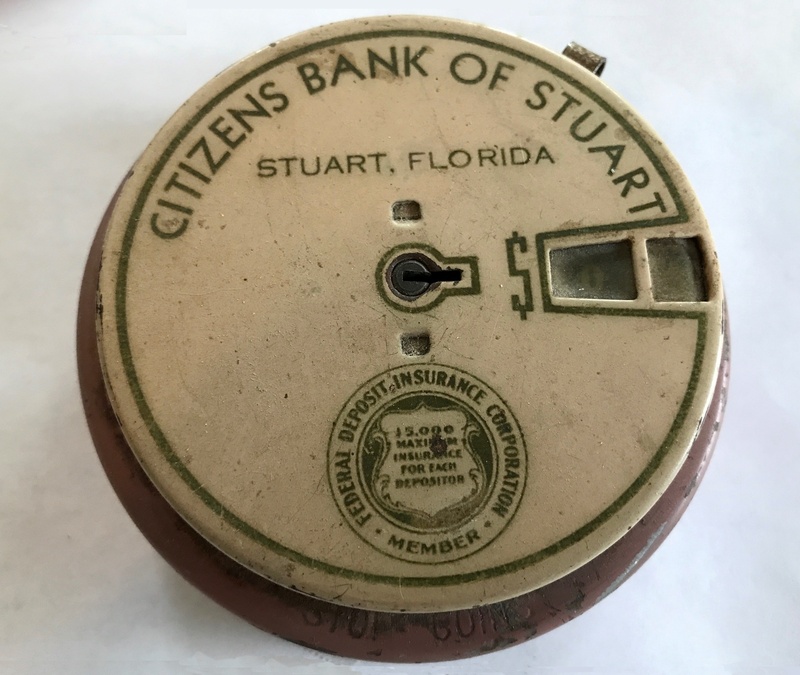 Anyone in Martin County who bought one of these banks from Citizens, and it's still in good condition, owns a collector's item.